With the Lok Sabha elections fast approaching and a coalition government likely to come back at the Centre, smaller political parties and players are expecting a bonanza and are trying to position themselves to suit their brand of politics and gain a permanent foothold in Delhi politics. It is because of this two of the southern party leaders have already declared themselves as the ‘front’ builders --- one trying to strengthen the Congress-led UPA and the other coming out with an unrealistic idea of ‘non-BJP and non-Congress Federal Front’. Chandrababu Naidu and KCR No prizes for guessing as those two leaders, Chandrababu Naidu and KCR, are already there crisscrossing the country in special planes reaching state capitals, meeting regional party leaders and issuing statements of their intent to play a bigger role in national politics. However, there seems to be reluctance from the northern India regional parties to welcome the ‘Front’ initiative from the smaller southern political parties. Naidu and KCR are forgetting the fact that they, put together, command only 42 Lok Sabha seats and other regional party leaders such as Mamata Benarjee, Mayawati, Akhilesh Yadav and Sharad Pawar all come from states where the Lok Sabha seats are much higher, though they may not win all those seats by themselves. 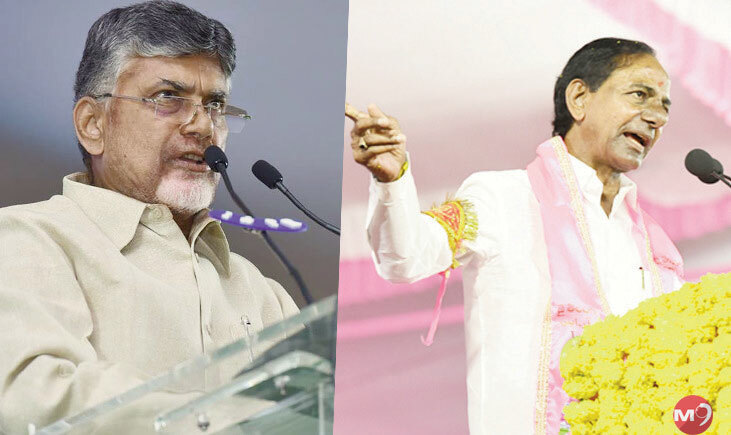 Despite the cold-shoulder they are receiving, Chandrababu Naidu and KCR are not giving up their attempt as they have their own vested political interests in their attempts to stitch a ‘Front’ of their foot print. Naidu and KCR should understand from the context of their personal and political rivalry and each one's attempt to finish the other politically at any and every opportunity. The fight between the Telugu people over the demand for the bifurcation of Andhra Pradesh, one thought, will be over with the enactment of the Andhra Pradesh Reorganisation Act five years ago. But surprisingly that fight, though subsided between the common people of Andhra Pradesh and Telangana , has intensified between the two main political rivals --- Chandrababu Naidu and KCR. They never lost a single opportunity to ridicule each other on the political arena despite they are given distinct two geographical areas to rule. There is no stoppage for the intense sibling rivalry and that rivalry is now extended to the national level. Chandrababu and KCR, the Chief Ministers of Andhra Pradesh and Telangana, are not happy with their present positions. The political ambitions of these leaders have soared in the context of political uncertainty and likely come-back of coalition politics post-2019 elections. Both want to exploit the vulnerability of the two national parties and mark their own stamp. In a no-holds-barred fight, both Chandrababu and Naidu are focusing more on the political ‘Fronts’ of their dreams rather than their own state administration. Chandrababu and KCR, the Chief Ministers of Andhra Pradesh and Telangana, are not happy with their present positions. The political ambitions of these leaders have soared in the context of political uncertainty and likely comeback of coalition politics post-2019 elections with a major say for the regional parties. 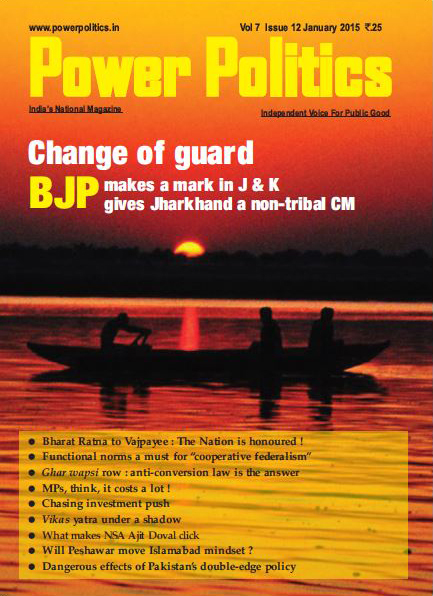 Both want to exploit the vulnerability of the two national parties and mark their own stamp. Naidu and KCR have already made preparations in their respective states by anointing the heir apparent. By setting up a regional dynasty, the very issue on which both of them bitterly criticised and relentlessly fought the Congress party, both Chandrababu and KCR have proved that they are no different from Congress once in power. Post-2018 election triumph, KCR lost no chance to appoint his son KTR as the party president. Chandrababu already made his son Lokesh as TDP secretary first and then a minister in his Cabinet. It is to everybody’s knowledge that Lokesh is an undeclared number two both in the party and the government. There is none to challenge either Naidu's or KCR's decisions as the entire party structure is carefully built to be subservient to the ultimate will of the party chief. Their aim is to abdicate the democratic throne in the states to their sons in the royal hereditary style and move to the national politics and test their strengths in Delhi. The commonality of Naidu and KCR ends there and beyond that they turn into bitter rivals in building a political ‘Front’ at the national level. Every word and move of them is more aimed at hitting their immediate political rival rather than building a Front with national interest. Naidu is desperate to placate the Congress with his services to stitch an anti-BJP front and that is why he is frequently visiting Delhi and meeting and exchanging pleasantries with Rahul Gandhi. Surprisingly, no other Congress leader is enthused about Naidu’s offer as they know that he is not of any help beyond Andhra Pradesh during the campaign and his state has now only 25 Lok Sabha seats. M.K. Stalin The position of KCR in Front stitching is no better than Naidu as both of them are chasing the same regional parties and the response of those parties is muted for the Front idea of both. Chandrababu Naidu’s claims of being the ‘builder of anti-BJP front’ at the national level are most unconvincing as all those parties and leaders whom he is meeting are already either in the UPA or in alliance with the Congress. 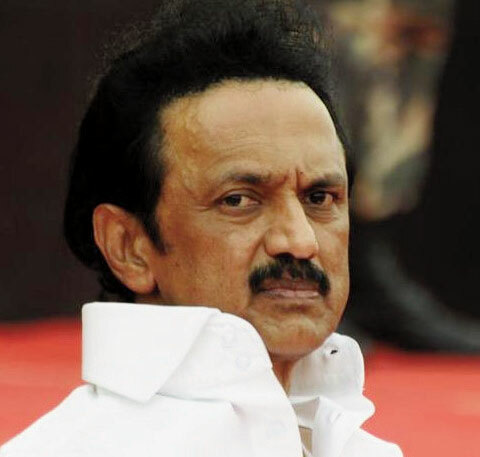 His trips to Chennai to meet DMK’s M.K. Stalin, his Delhi trips to meet National Conference leader Farooq Abdhulla and NCP leaders are all publicity exercises as all of them are already in the UPA. Kumara Swamy Despite his tall claims of political seniority, there is no other party which he could pull into the Congress-led umbrella. 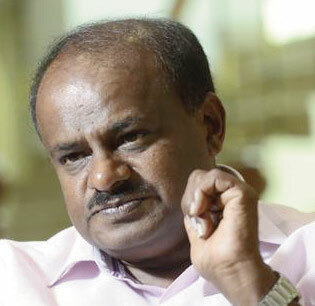 On the other hand, the bonhomie which was evident at the swearing-in ceremony of Kumara Swamy as CM of Karnataka in Bangalore, which was billed as the beginning of great grand opposition unity fell flat by the time the three Hindi heartland states --- MP, Chhattisghad and Rajasthan --- went to polls as both the BSP and the SP moved away from a coalition and announced their own seat sharing not leaving any seats to the Congress except the two held by Sonia and Rahul Gandhi. Chandra Babu’s attempt to placate those two powerful regional leaders in UP couldn’t materialise and that was a huge set back to the anti- BJP alliance. Mamata Banerjee The fate of KCR is no different. His slogan of a non-BJP non-Congress Front is not enthusing any other party. He went round in a special plane to Bhubaneswar and Kolkota to meet Naveen Patnaik and Mamata Benarjee respectively. They both gave audience but no assurance to his proposal. West Bengal’s Mamata Banerjee is suspicious of KCR’s motives as she considers KCR as a pro-Modi leader. 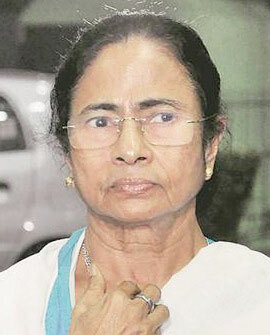 The BJP is now the main adversary of Mamata Banerjee in Bengal and with successful poaching of two of her MPs by the BJP, she is worried more about her chair in Bengal rather than the Federal or some other Front in Delhi. 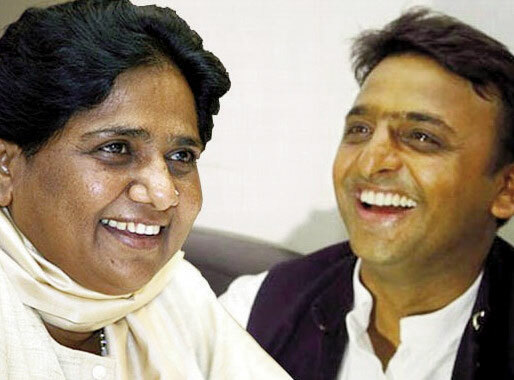 Mayawati and Akhilesh Yadav Both Mayawati and Akhilesh Yadav are found to be hard nuts to crack for both Naidu and KCR. They didn’t act as ‘Front’ proposers as promised. Their U P - c e n t r i c politics is making them not to leave any space to the Congress. Their fight in UP is against the BJP. Naidu needs a favourable ruling party at the Centre to help him and his close aides to get relief from the alleged financial irregularity deals presently under investigation by Central agencies. For KCR, the main foe is the Congress in his state so he doesn’t like to see a Congress-led coalition at the Centre.